If you’re pretty handy at DIY, you may be looking to install your garden or lawn sprinklers yourself. It’s not as difficult as you might think and these tips and tricks of the trade should come in useful when setting up and installing an irrigation system in your garden. It’s obviously vital to check the location of underground services before you start digging so that you don’t inadvertently damage or sever existing lines. Before you start digging all your trenches, it’s also worth attaching a sprinkler head to a fitting to gauge the depth that will be required for lateral trenches. If several pipes are going in the same trench, you need to account for this too and ensure that pipes are laid side by side rather than on top of one another. Make sure your controller is not installed on the same circuit as other high consumption items like air conditioning units, fridges, TVs etc. Ensure your wiring connectors have a waterproofing sealant and where possible try and have a continuous run of cable between the controller and valves. This helps to minimise the possibility of short-circuits. Make sure valve boxes are on a solid level base. One common mistake is not checking the flow path on the valve. Check the indication on the valve and make sure your valve connection is pointing in the right direction. Before you connect your sprinklers, go through each valve systematically, switch it on and flush the line of any blockages. 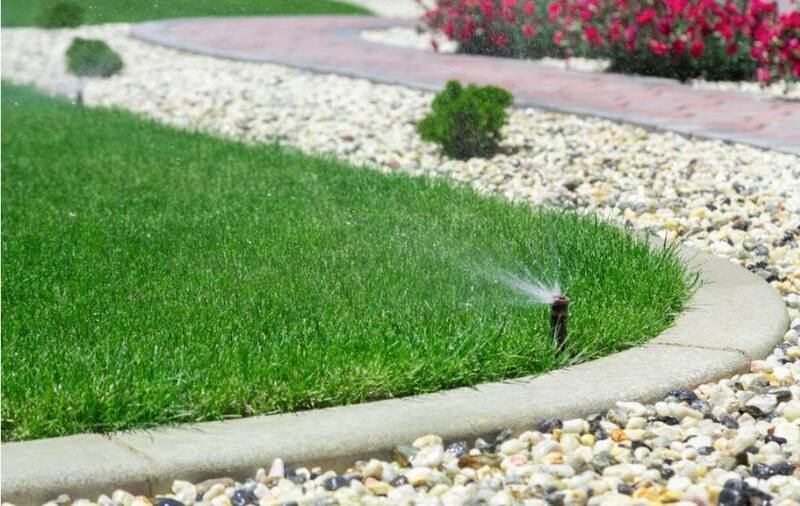 Make sure that you install sprinkler heads vertically and flush with surface of the lawn or soil. Once you have connected them, check the arcs and radius of the sprinklers to ensure they are covering and reaching the areas you intended. Adjust this as necessary before fixing in place. We have detailed information on the radius and distances required between different sprinkler nozzles to help you further. And remember for help and assistance with sprinkler layout design, give us a call or drop us an email.